We have been renting since the last 7 years. I have rented in two different cities and moved 5 times, and I have lived in both apartments and condos. When it comes to spending money while renting – unless you are extra vigilant, you might end up paying more than the monthly rent. People have written page after page advising others how to buy a home, but there aren’t many resources covering how to rent. Even if you are going to stay in a rental home for a limited period, this is still the place you call home for next several months. Below is my attempt to list the lessons I learned and good practices I adopted during several years as a renter. Your search can start with local newspaper ads, Craigslist, contacting a realtor, or word of mouth. Explore each of these channels to get the best one out there. Life is full of struggles and we all have enough of them at work and within our families. Don’t make finding your rental home another struggle. Usually, an extensive search for two to three weeks can get you a good home; your mileage may vary, of course. Renting directly through landlords generally results in lower rent. Mostly because leaving the rental property vacant is a huge monetary loss for people looking for rental income. Generally, they go for any offer when tenants become scarce. I found property management companies very strict on rental prices. They don’t go below a certain amount irrespective of vacancies. Here in my area, a 2 BHK apartment goes for $1200 – $1300 per month, whereas I am now renting a bigger 2 BHK condo for $1100 per month. You should look for an apartment near where you work or where your spouse works to save money and time on commuting. Inspect your rental home thoroughly to look for damages or repairs that are needed. This is not different from what you need to do while buying a home, so pay just as much attention to detail. A mark on the carpet cost me more than $100, even though that mark was there from the very first day I moved into my rental home. If you are renting through management companies, you are assured that all home repairs and major household property damages shall be fixed by the management company. Most of the time the help is instant. But when you are renting through a landlord, the repairs and fixes might take time. I always look for a property where there is a service contract. When my water heater stopped working, I called the service company and within 24 hours they replaced the heater. Landlord pays the yearly fees. I had a nightmarish 6 months a couple of years back where the landlord simply refused to fix or repair. I vacated the home in 6 months without paying the lease breakage fee, and still got my full deposit back, just by threatening him to go to small claims court, would you believe? Read the lease agreement thoroughly – a tenant should not have to pay for the major appliance repairs unless it’s caused by the tenant’s negligence. Rental insurance costs as low as $10 per month for coverage up to $20,000 and gives you peace of mind. If flood, wind, rain, or fire damage occurs, your landlord might get the house repairs covered. But you are responsible for your own property inside the house. If a theft occurs and your valuables go missing, rental insurance comes in handy. My coverage starts as soon as I move into my new apartment. I suggest you do the same. This is not an option when you are renting through a property management company, but definitely worth a try with your landlord – they often go lower than market price, so they might consider an adjustment to the security deposit as well. When you choose between properties with similar or equal rent, go for the one where most of the bills are paid by the landlord. I am not paying for my water and cable TV bills. Your area might be vastly different and you might have to pay for everything. If that’s the case, try to look in an area where some utility bills are paid by either a homeowner’s association or the landlord. I once paid $5 per month for trash removal in Austin, TX. Since it was rented through a management company, it was nonnegotiable. Consider moving costs. I was paying $1100 in my previous home, and when the lease expired, the landlord wanted to raise my rent to $1150. Which meant that in the next 12 months I would pay $600 more than the previous year. I started looking for another home and got one through my friend (whose wife is a realtor) for $1100 a month. Since my new home was only a stone’s throw from the first home, I didn’t have to go through the hassle of getting my housing association deposit back. They just transferred the deposit to a new account. The short distance also ensured that our moving cost was a low $200, compared with the $600 I would have paid extra had I stayed! I always hire movers from a local church, which has volunteers working for free and all proceeds go to the church. You might want to explore your area churches when you plan to move. This gave us a great feeling of giving money to charity and moving for free. Always leave the property in excellent condition. I rent heavy vacuüm cleaners for a day from Wal-Mart and clean the carpets. I started hiring professional cleaners after one of my friends got half of the security deposit withheld toward cleaning charges! Pay special attention to carpets, walls, bathrooms and kitchen areas where the most marks and spots tend to occur over time. Professional cleaners charge by the hour, but $100 is a much lower an expense than $1000 charged against the deposit. There are some landlords who simply refuse to give your full deposit back. To tackle them, ask for the charges they claim they incurred in cleaning or repairing. Ask for an itemized bill. It’s your legal right as a tenant no matter what state you live in. Sometimes even asking for such bills results in getting back your full deposit (or fewer deductions). And then there are other much more established and well-known apartment communities that have well-documented policies in place to protect residents. Last bit of advice – always bargain against rent increases if you wish to stay for another lease term. If your landlord agrees not to increase the rent or increases it only by a small amount, it’s a win for you as you don’t have to pay for moving costs, social costs (loss of friendly neighbors), and opportunity costs (for the time you invest in moving). Readers, if you are renting, are you trying to reduce your rental costs? What other modes of saving you suggest? « What Makes You Feel Rich And Wealthy? Getting the security deposit back is super important. A few years ago, my roommate burned our carpet and it would have cost hundreds if not thousands to replace, so he took a patch from under a dresser and replaced the ugly piece in the center of the room. We were a little nervous about the landlord finding out (it would have been the roommate’s responsibility either way), but he did a good enough job that nobody said a word! Not the most honest thing to do, but it saved a ton of money. You could have never escaped easily had you been renting through property management company. I believe the dresser was land lords property. So he didn’t notice..
Renters’ insurance is one of the things that few people think of as a renter. I know that I didn’t have it when I was apartment hopping every year before I purchased my home. I was lucky and never had anything bad happen, but it’s certainly not work the risk when the price of protection and piece of mind is so minimal. I think many of us just figured that should anything happen, it would be the landlord’s job to deal with it. Looking back, especially in my younger days when I was more about “stuff” I can’t even image what I would have done had everything been stolen or destroyed. Now, I actually ask renters I know if they have renters insurance, just so they are aware. Yeah my landlord asked me about this. 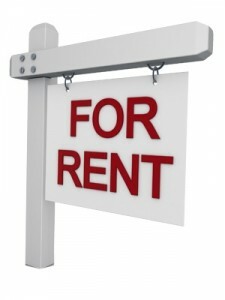 Although landlords have nothing to lose or gain, but still why not help your renters..
Renter’s insurance is important. I also like your point about taking into consideration the cost of moving. This can be a huge expense and take away from the savings of moving to a less expensive apartment, as you said. Great point! if moving takes $1000 and rent increase is only $50 it doesn’t make sense to move. Great tips about renting. We have a rental home, and I urged our renters to secure their own rental insurance. We also have hurricanes to contend with. well, great to hear that and thx for visiting how is your moving management going? When we first married, we rented a quadraplex unit. We got to know the landlord well and he offered us the chance to do some chores around the place. We saved a lot on each month’s rent by doing those chores – I think it was a 50% savings, but it’s been awhile so I could be remembering wrong. Of course the chores were nasty ones – cleaning out the dumpster area each week, cleaning the common areas each wee and etc. Am sure it helped your finances very well. Great idea about hiring movers from a local church. I’m getting ready for a big move and will definitely be looking into that.